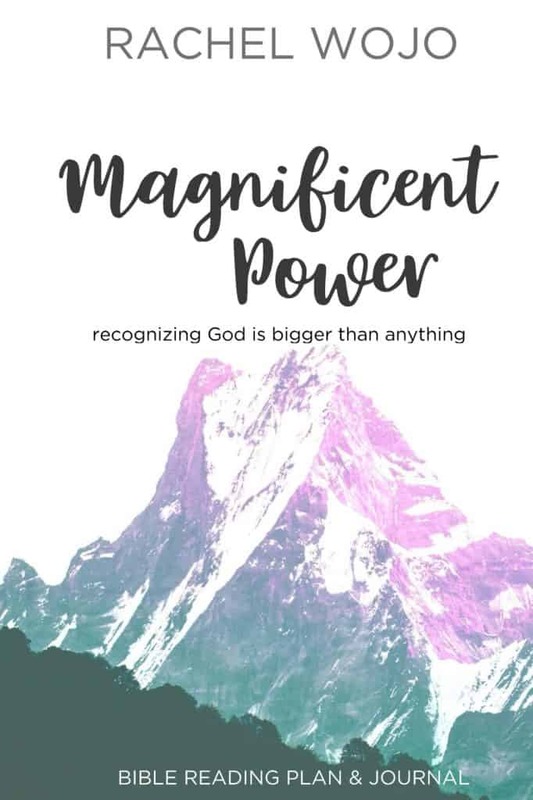 GOD IS BIGGER THAN ANYTHING! Is it an upcoming schedule change? Oh yes, he is bigger. How about a recent family crisis? He has every member in the palm of his hand. A new job? He’s got it all under control. 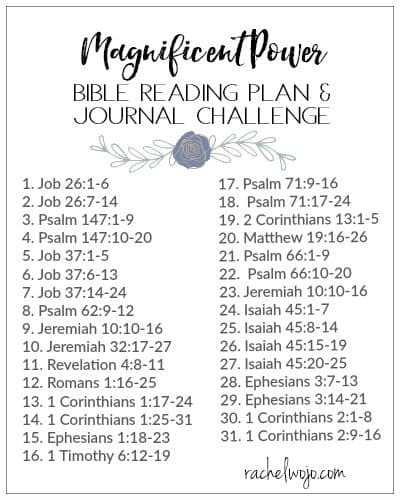 For this month, we will use the hashtags #magnificentpower #godisbiggerjournal and #biblereadingplan. Almost every day, I post on Instagram or Facebook about what I’m learning through the passages and sometimes I post the Bible journaling pages I work on throughout the study. I truly long to provide practical, spiritual resources because I know that is a work God has called me to do. Last month, I expanded the journal from one page a day to two pages a day, and yet I believe it is still something the average person can complete within a reasonable span of time on a personal level. Just screenshot the graphic to your smartphone and mark it as a favorite for easy daily access. For a simple printable copy, click on the graphic or HERE to print out two copies of the Bible reading plan. Share one with a friend! Don’t delay; we’ll begin September 1st! Who’s in? I bumped into your website at a time I was seeking for a christian female mentor. while we have not met, I have been encouraged by your posts and the your book “One More Step”, which spoke so directly to some of my personal fears and worries. I thank God you wrote it. The challenges of your life, yet the joy that the Lord has given you to remain faithful is a testimony by itself. 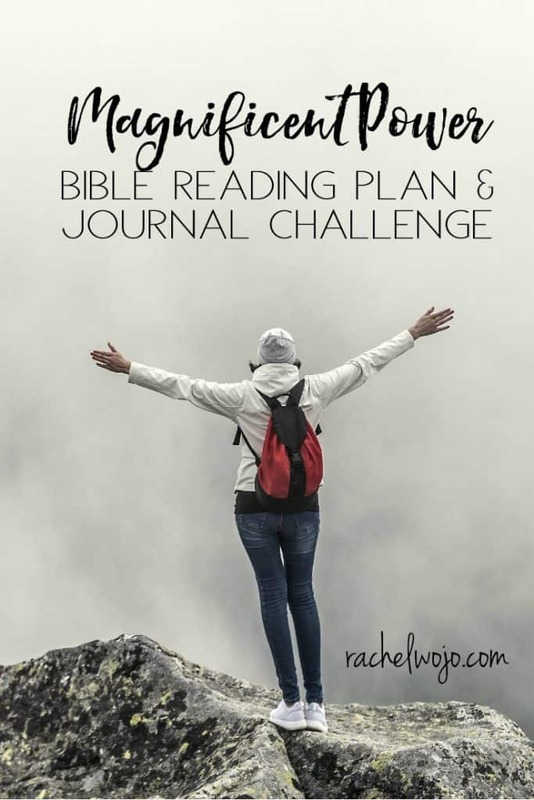 Just as I receive from you, every beginning of the month, I share with another group of ladies the bible reading plan and I know it has become a useful element of their daily lives. You have blessed many through the writings, and I can only pray that the Lord continues to water you even as you water others. Proverbs 11:25 is my prayer for you, in Jesus name. I’m in. 🙂 So enjoy reading God’s word with you! Just ordered it. Hoping it arrives on time. God is so great! He knew that we would need a reminder of how big He is in the midst of all the damage the hurricane has brought. His timing is perfect! I am so thankful that you write these! I love your studies. I learn more and more each time. I’m in! And I ordered my journal on Amazon!! Thank for a nice affordable resource that takes me to a higher level than what I’ve been doing! You are so very welcome! Blessings on your readings! I’ve been subscribed for the longest time, but this is my first reading challenge. God led me here and I am so excited!! So thrilled you joined in! I hope you are finding it to be exactly what you need.